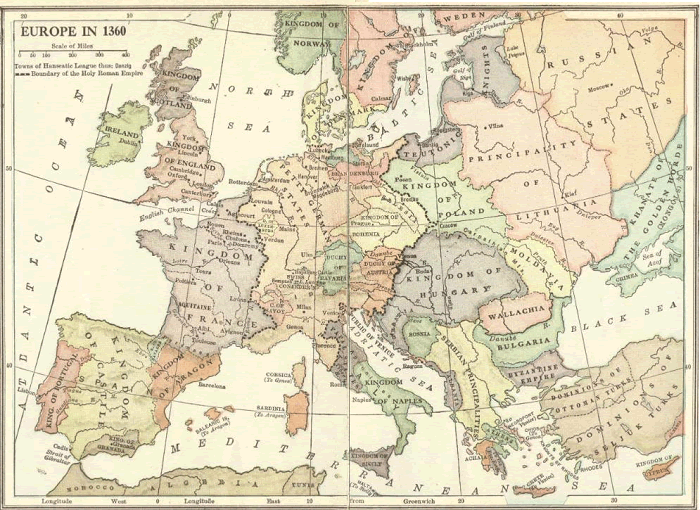 Map of Europe in 1360. Towns of the Hanseatic League, Danzig. Boundary of the Holy Roman Empire. This commercial and defensive league of northwestern and central European market towns and merchant guilds was officially established in 1358, though its origins went back over two hundred years. Click here to enlarge.